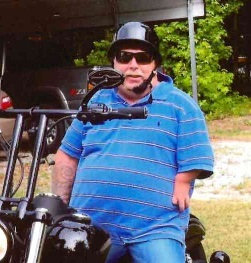 Turner Jackson (TJ) Ready, 48, of Augusta went home to be with the Lord on March 22, 2019. TJ was a loving son, father, papa, and friend. He is survived by his parents Jerry and Patricia Wilkerson of Augusta; His biological father Leon and wife Hazel Ready of Beech Island, SC; Daughters Kara and Husband Brandon Baldwin, and grandson Waylon Baldwin of Virginia Beach, VA; Samantha Burns of Augusta; sister Suzanne Wilkerson of Jackson, TN; Aunt Wanda and husband Gene Bowers of Grovetown; cousins Kelly and husband Taylor Trapp of Martinez, GA; Matthew Oellerich of Grovetown, Ga; as well as nieces, nephews, and other relatives and loving friends. He was preceded in death by his brothers Ted and Todd Ready, and sister Jennifer Crouch. A memorial service will be held at a later date.